We are dedicated to the Mind, Body and Spirit. We are committed to YOU! 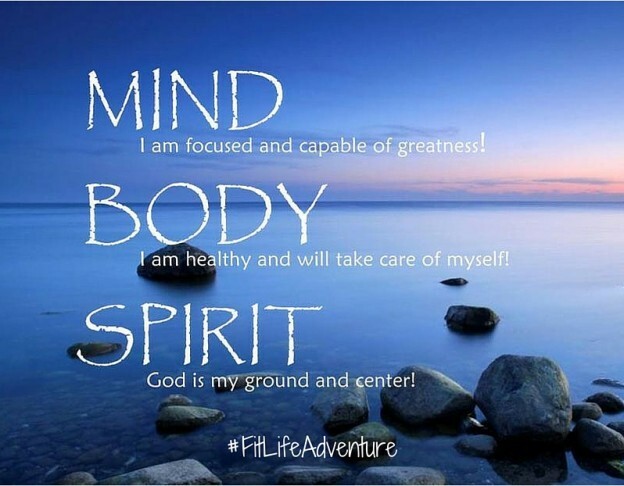 Claim your power and Triumph in YOUR Fit Life Adventure! I am not you’re average college student. It Works! has been a part of my family since I was 12. So of course as soon as I turned 18 I joined the company myself! I had the choice to join, I didn’t have to, but I had seen growing up what this company was doing for my family. It completely changed our lives. It changed my Dad’s life health wise and our family financially. I have been so privileged to grow up surrounded by some of the most influential people in It Works! and been able to learn so much at such a young age. I began to sell the products my first year of college but I quickly realized the true potential I had in this company. I decided to drop out of school for some time and pursue a life of a world wide wrapper. I built my business and traveled the world doing it! During that time my eyes were opened to my true passion of health and fitness. I want to help people become the best person that they can be. Part of this is overcoming who they think their best is, and push them to go beyond what they think are their limits. I am now back at school finishing a degree in Human Performance with a concentration in Exercise Physiology. I am constantly learning and growing my knowledge of the subject. So as I grow you will grow. By joining this 90 day challenge it is my goal to coach you through anything holding you back from your true potential. I will be motivating you through this journey to help you be the best you inside and out. 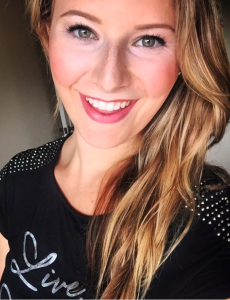 I am a lawyer in Halifax, Nova Scotia, Canada with a passion for fitness and nutrition. When I am not in the court room you can find me in the gym. In the past I have competed both as a bikini and fitness competitor in the Atlantic Classics and with the World Beauty Fitness & Fashion Inc. At the WBFF I took home some hardware placing in the top three and top five of my respective classes. I have trained by myself for many years and with trainers in the past as well. I have explored a variety of exercise regimes including weight training, boxing, kickboxing, high intensity cardio classes, tabata, biometrics and spinning. I started using ItWorks products approximately one year ago and I absolutely love them! They are the perfect addition to my healthy lifestyle. I couldn’t get through a workout without my ItWorks Energy and the ItWorks Greens are also an important staple of my diet every day. I use ItWorks FatFighter with cheat meals and ItWorks wraps to help maintain and prolong my results in the gym! Let myself and ItWorks help you attain the results you want in 2016! For those of you that know me, you know one of the first things that I talk about is food. Delicious dinners shared with friends bring about some of my best memories. I want to know everything you eat, from what you serve at your holiday meals, what food smells bring up your best memories, how you start your day, eggs? toast? I’ve been told it’s an obsession. In my heart food brings together people from all walks of life. It’s a commonality that we share regardless of wealth, region or fitness level. We all need to eat, we all crave delicious and satisfying meals. When I was diagnosed with a Gluten Allergy in 2010 I thought all of that would come to an end. How could I enjoy our Friday night pizza and wine with our friends? I thought my life would turn into a never ending salad with grilled chicken and brown bagging it anytime I left home. I’m thrilled to tell you that I was wrong, oh so scrumptiously wrong. I’m here to guide you through your journey to the other side of the wheat fields. I promise you there is a land of pasta dinners and chocolate cakes that won’t poison your body or expand your waistline. Join this 90-day challenge with me. With It Works advanced line of supplements, let’s get started feeding our body’s the nutrients it craves. NOURISH YOUR SPIRIT WITH PRACTICAL TIMELESS TRUTH. There is so much more to being fit than diet and exercise! To be complete and whole you must also care for your mind and soul by feeding it wisdom and knowledge. This food comes from hearing the truth that I have found throughout pages and pages of the book of Proverbs. As your FiTCOACH it is my desire to see you grow in all areas mind, body and SPIRIT. How did I become a millionaire mom with no prior business experience? How do I manage a home, family, marriage and stay balanced while leading a team globally? How do I overcome fear, doubt and discouragement? How do I stay young, fit and full of energy after 40? How do I walk in abundance and favor? ALL of these answers can be found in scripture! There is not another workbook, author or mentor I can think of throughout the history of mankind that was given so much wisdom and knowledge and blessed beyond measure by its application. It is because I have experienced in my own life the fruit of applying the wisdom found in scripture that I am so passionate about sharing the same truth with you. As you follow my weekly blog my intention is to take it verse by verse and share how you too can apply the wisdom found to your own life circumstances. May you be as blessed as you are fed wisdom and knowledge to keep your Spirit fit!